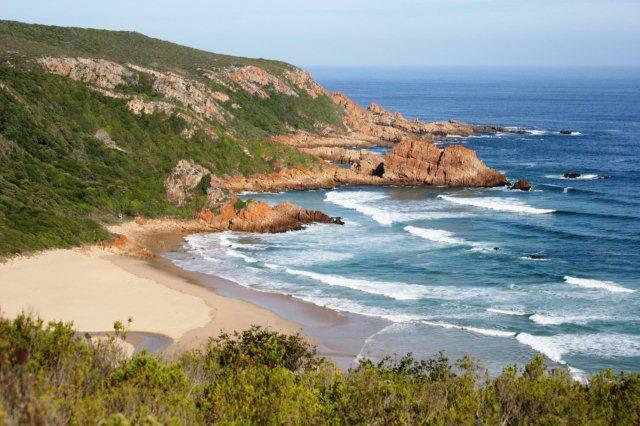 If you’ve ever visited the Garden Route during the peak summer season (November-March), you’ll know that things can get a bit congested… It’s easy to understand why. 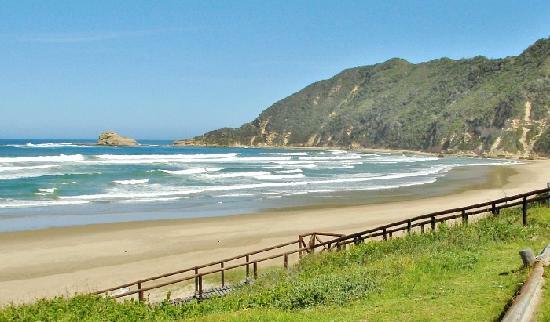 Not to brag or anything, but the Garden Route is seriously one of the most beautiful places I’ve ever been to. And what’s even more awesome is that I get to call this place home! Jaap Se Baai (in Brenton-on-Sea, before the main beach). This is one of my favorites. Just be aware that there are lots of steps. So make sure you are fit and able to walk them, especially on the uphill climb! You can take a picnic basket with you, but you’ll be happy to know that there are a couple of restaurants to choose from (within walking distance) and a little convenience store, where you can get the basics! Also, this little beach is relatively protected and so makes for good swimming. Ohh… This is a real winner! Not great for swimming, but you can wade in the water (just don’t try to compete with the waves). If you have kids, they will love exploring the rock pools at low tide (check the tides timetable here) and are sure to find lots of treasures like starfish and crabs! 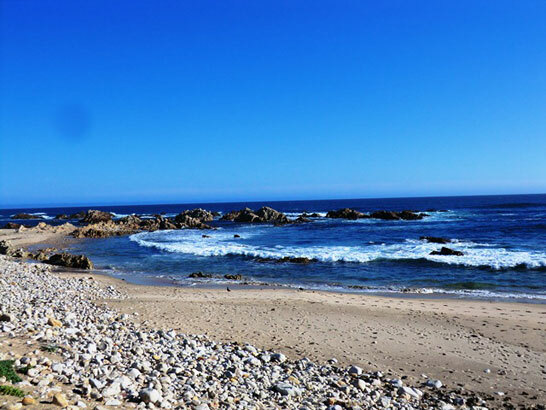 This is another beach for the more physically fit. Once you’ve parked in the parking lot, there is a rather steep walk (no steps, but the path is paved) down to the river mouth and beach. It’s only a bit tricky when you walk up again. But this should not deter you! 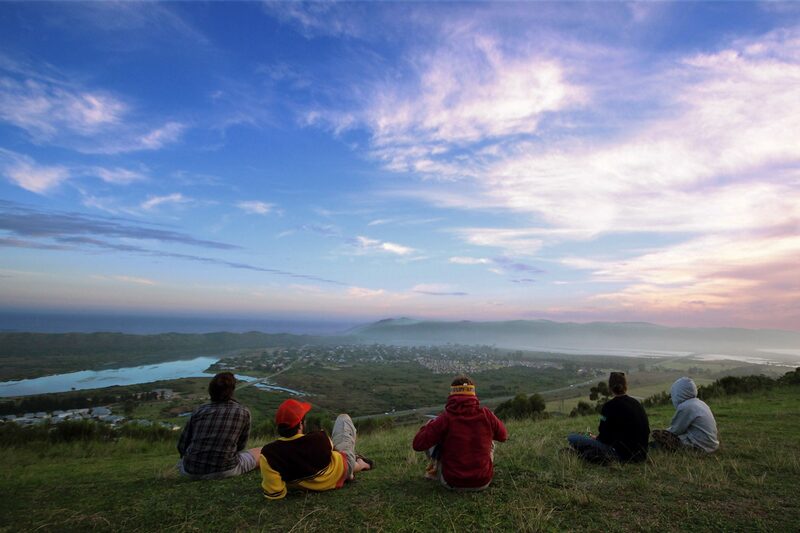 It’s probably our best-kept secret here on the Garden Route and lends itself for a fun-filled day for everyone. Swimming in the river mouth is great because it’s warmer and you can float around without getting bashed by the waves! If you like getting bashed about by waves, walk on about 300m further where there is a wide expanse of sand and water. Notzie is also great because it’s where you will find the Noetzie Castle. Unfortunately, it’s no longer open to the public, but it’s fun to see and take a couple of pic of! Take your own drinks and snacks as there are no shops nearby. 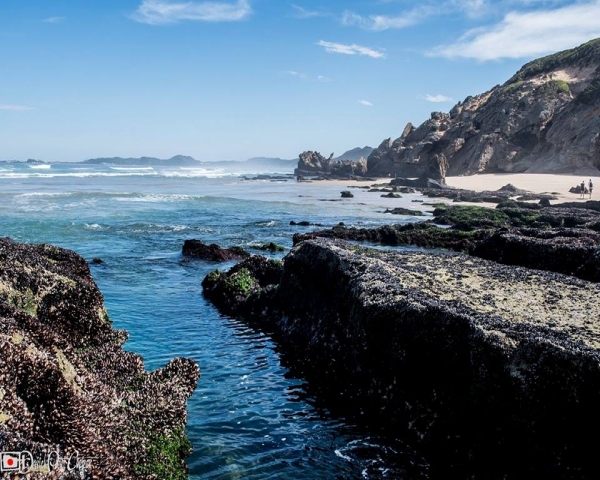 This is one of Sedgefield’s lesser-known beaches… Again a big expanse of sand and water; this beach is great for body boarding (or boogie boarding) – it’s pretty much a given that the kids will enjoy this one. 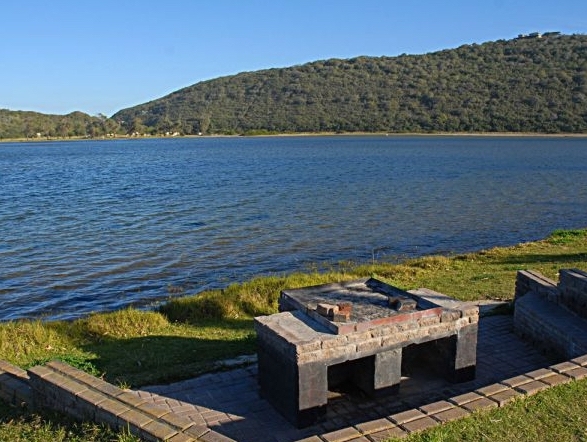 Talk a walk to Gericke’s Point – it will be good for you to stretch your legs after yesterdays wine tasting tour with Rock the Route (yeah, we know how to show you a good time!). There’s also a great pizza place around the corner, so stop by there when you’re done with your beach day. This is a great alternative if you are looking for a bit of lawn to sit on, while still enjoying nature. There are also some awesome adventure activities available around there, so book your kayaking trip before you head out for the day. If any of these beach options sound great, but you’re not much in the mood for self-driving and you want some extra spoils, for example, a massage on the beach under a gazebo or a gourmet picnic basket filled with local goodies, then get in touch with us here and we’ll organise a day trip just for you!